Secondary brain cancers. Image 4 of 4. Coloured computed tomography (CT) scan passing horizontally (axially) through the head of a patient with brain cancers. The front of the head is at top in this view from below, and this scan passes through the top of the brain. The skull (brown) surrounds the brain (pink). 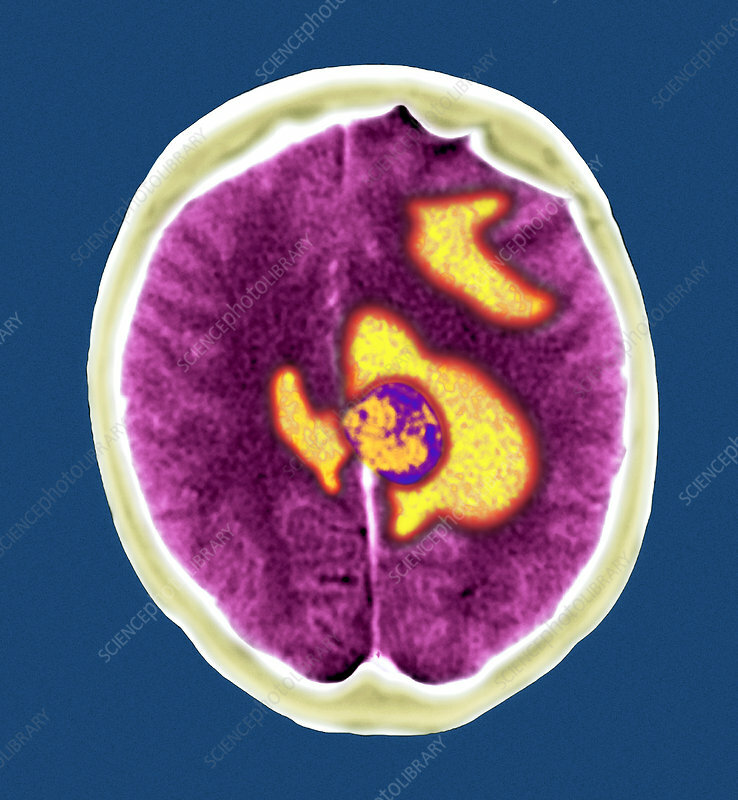 One of the secondary brain cancers (blue, round) and cerebral oedema (fluid build-up, yellow) due to the cancer, are seen. The cancers spread (metastasized) from a primary cancer in the skin, a malignant melanoma. Cancer metastasis to the brain is often fatal. Images M134/552-555 show three cancers at different levels of this brain.